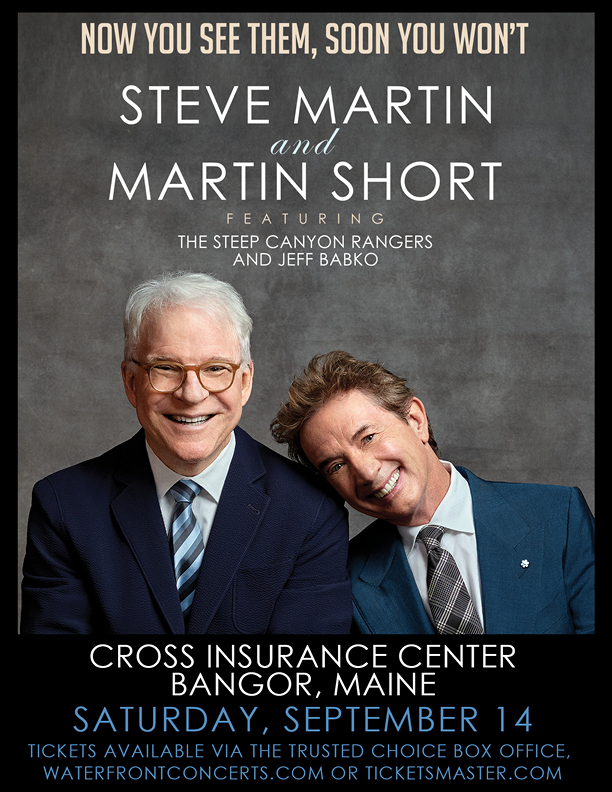 Comedy icons Steve Martin and Martin Short will perform at the Cross Insurance Center in Bangor on Saturday, September 14th and WHSN will give away tickets to the show the week of Monday, 4/16/19 through Friday, 4/19/19. Throughout the week we’ll register listeners to win and then on Friday, April 19th we will randomly draw 2 registrants who will each win a pair of tickets to the show. Martin and Short recently teamed up for the Netflix special An Evening You Will Forget For The Rest Of Your Life .